Uber likes tracking things — competitors, cops, you. But now the company is trying to clean up its reputation by giving users a little bit of their privacy back. Uber plans to eliminate a feature that lets it track users for up to five minutes after their ride ends, Uber security chief Joe Sullivan told Reuters today. The change will reportedly roll out to iPhone users this week, with the intent to eventually bring it to Android users. At the end of 2016, Uber changed its privacy settings to track its riders even after they had been dropped off. Riders formerly had the option to have the app collect data only while they were using the app. The November 2016 update eliminated that, only affording users the option to have the app track them “Always” or “Never.” Users railed against the move, and nearly a year later it seems Uber has heard their cries — I’m sure a deluge of scandals and terrible press have nothing to do with the sudden change of heart. In fact, Apple may be responsible for the change. The company’s upcoming iOS 11 release will force apps to provide the “only when using” location sharing option that Uber previously removed. That might also explain why Uber is only rolling the change out to iPhone users now. 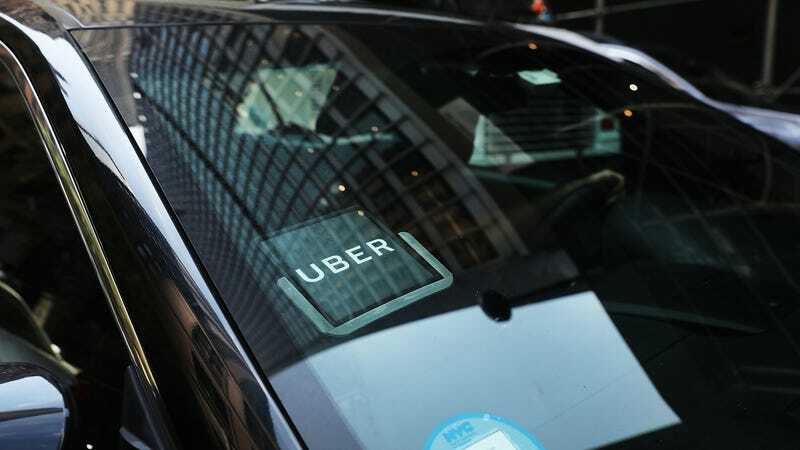 Uber has been rocked by reports about the company behaving badly over the last few months, with a number of instances associated with a gross invasion of privacy. In March, it was revealed that the company was using an internal software program called “Greyball” to spy on law enforcement officials that were investigating Uber. In April, the Information reported that the company was using a program called Hell to track Lyft drivers in order to identify which were also driving for Uber, and then prioritizing drivers who used both to lure them back to Uber. Eliminating the feature that tracks users after their ride ends signals Uber’s efforts to take user privacy a little more seriously, but it doesn’t mean the company won’t try and collect your sweet data in the future. It just might be bit more transparent about it. Sullivan told Reuters that if the company does decide to track riders again after their trips end, Uber will allow users to opt in, while also letting them know why it’s valuable information for the company.